Peanuts and caramel with a delicious Payday Candy Bar. Roasted peanuts are coverd with sweet caramel to create a sweet and salty treat that will satisfy the toughest craving. Included in this box are 24 individually wrapped full size candy bars. 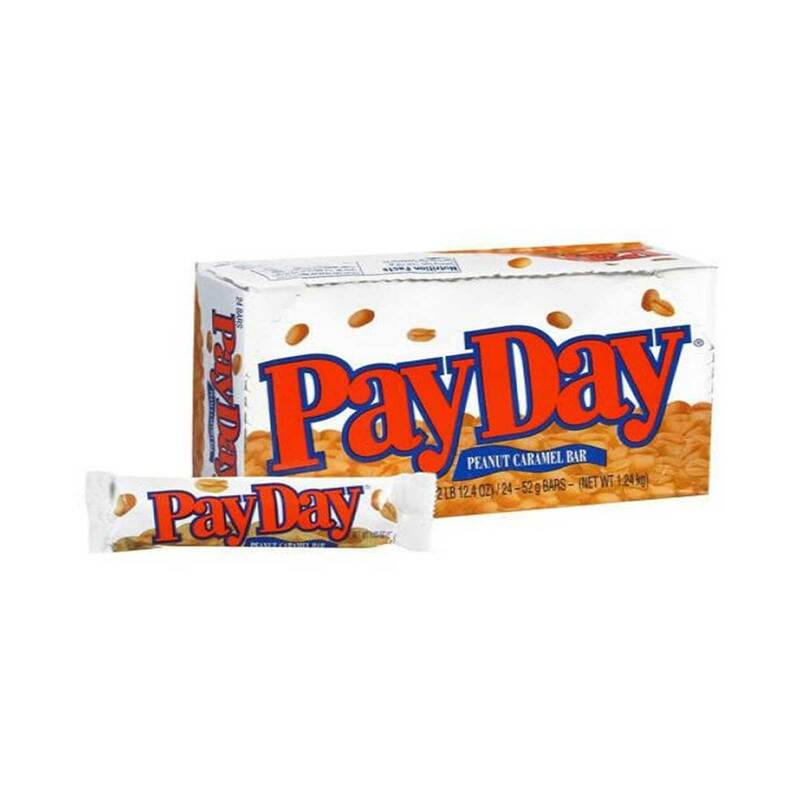 If you love nuts and caramel, PayDay is the way to go. Order HERSHEYS PAYDAY in bulk at wholesale price at Volt Candy Online. I thought this candy is not going to be worth it considering the look but it taste made it worth more.